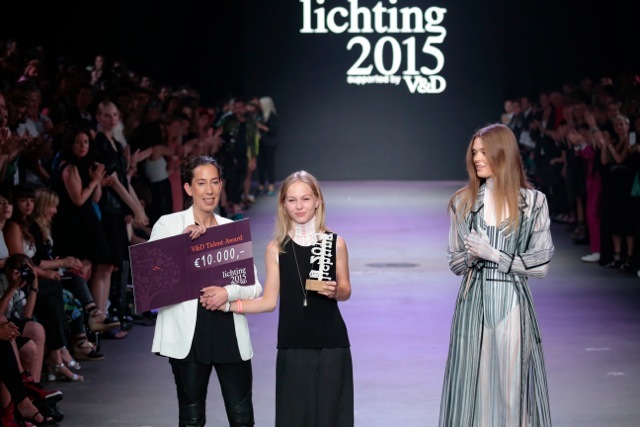 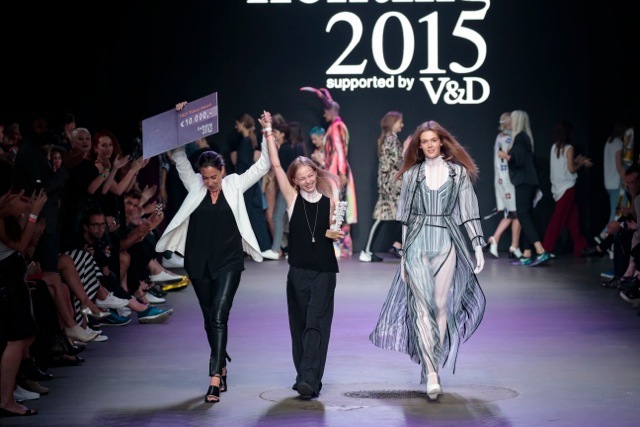 Nikki Duijst is the winner of Lichting 2015 supported by V&D. 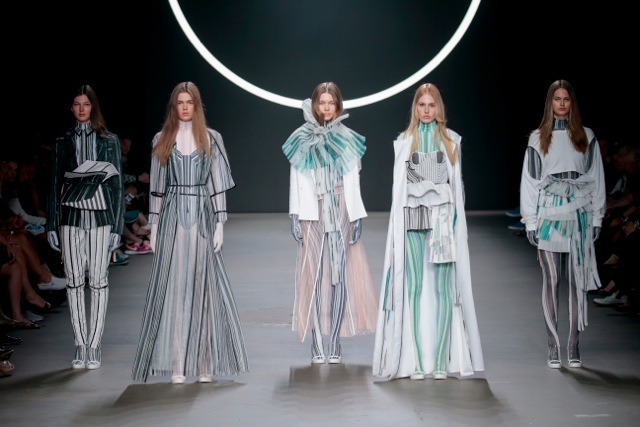 During a spectacular fashion show 14 graduates presented their graduation collection to an audience of national and international fashion professionals. 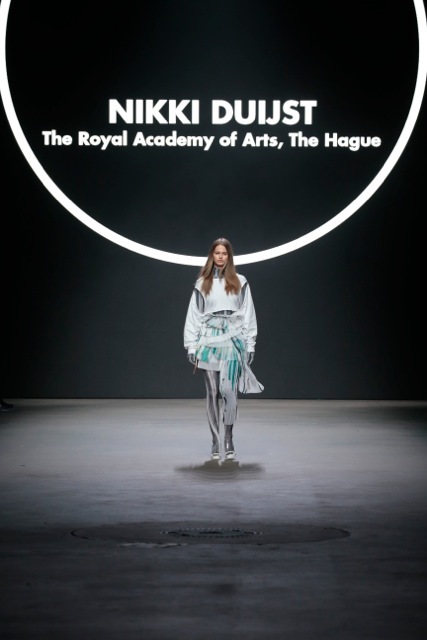 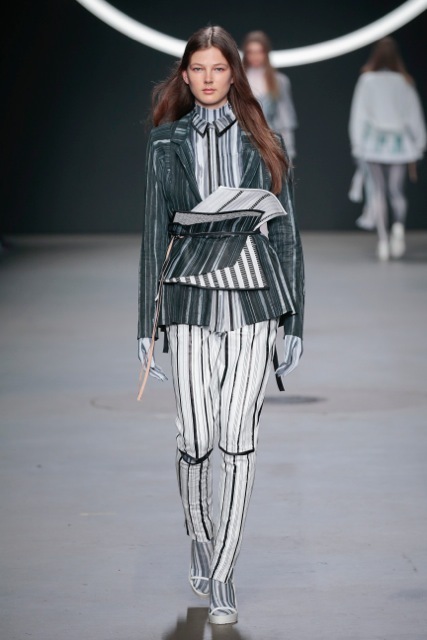 They voted Nikki as the upcoming fashion design talent of Dutch fashion. 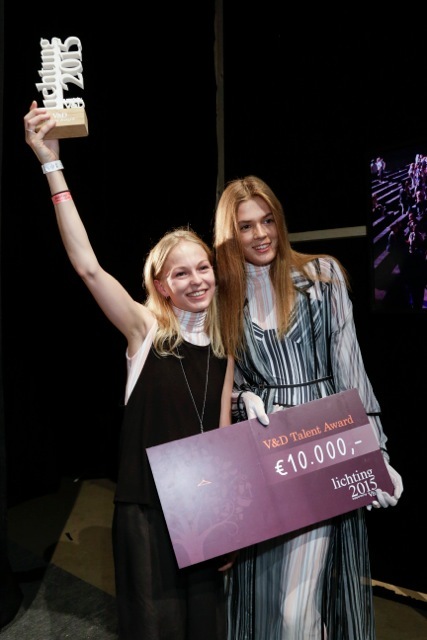 She received the V&D Talent award and a money prize of 10.000 euro which she can invest in the development of her work. 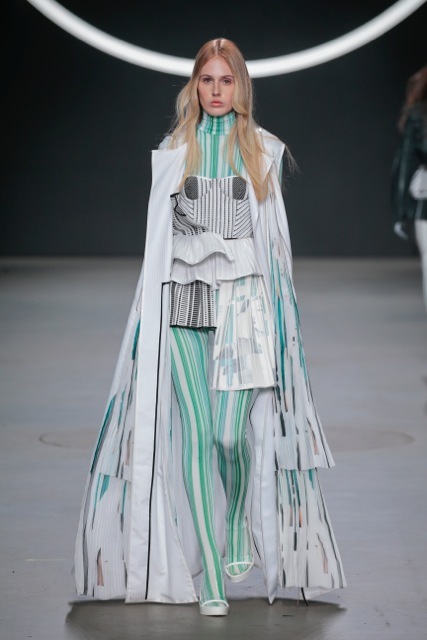 During the show Nikki presented five looks out her graduation collection named As we seek our face. 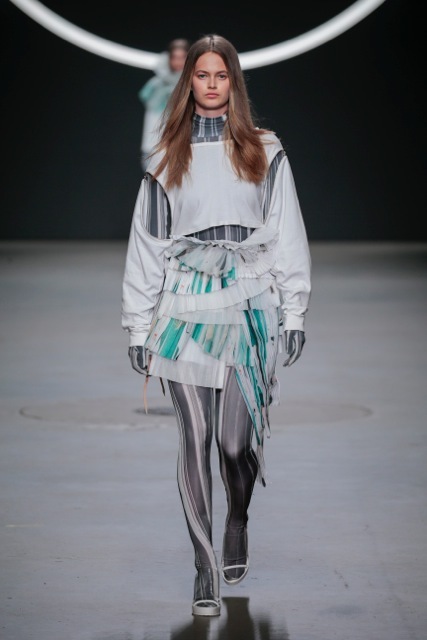 A collection with which she investigated her personal fear of being in the spotlights versus the pressure of social media to promote yourself as a unique, outstanding character. 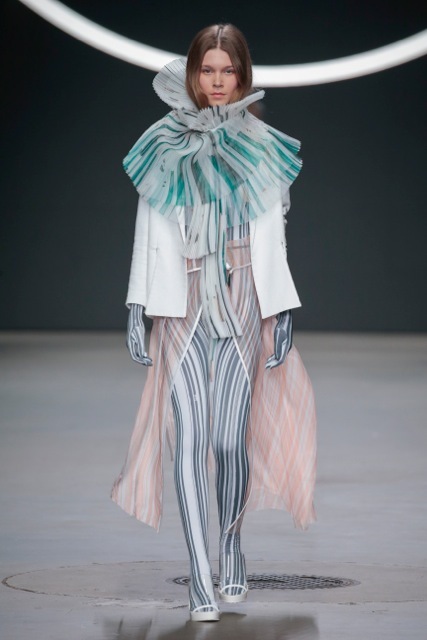 Anonymity, femininity, covering up and exposing were the focus points in the collection full of long, lean, striped and beautifully colored creations.